The departures are the result of the automaker's push to reduce its salaried headcount by more than 4,000. 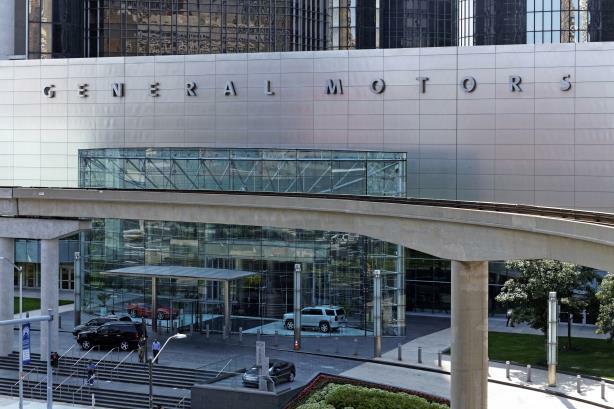 DETROIT: Dozens of staffers in General Motors’ U.S. communications team are leaving the company amid steep cuts in the automaker’s workforce in North America. The communications headcount in the U.S. has decreased from about 140 people to just more than 100, most of whom were senior-manager-level or above, according to Tony Cervone, SVP of global communications. The impact on jobs outside of North America was minimal, he said. Cervone declined to disclose the identities of individuals who were laid off out of respect for their privacy, but said the senior-most person to retire was an executive director. No senior employees were forced to leave the company. In the initial stage of the layoffs in late fall 2018, 15 GM comms workers volunteered for buyout packages, Cervone said. Buyout packages were structured by years of service; leavers received a month of salary for every two years at the company in addition to the continuation of their healthcare benefits. Of the 17,700 total employees offered a buyout, about 2,250 workers accepted, according to CNBC. Some employees took the buyout package and began to pursue other opportunities, Cervone said. "The people that did end up leaving were solid performers that [can] land when they want or [have] their choice in the job market," Cervone said. "[The job market is] extraordinarily strong and anyone who has them knocking at their door is lucky to have them." GM is planning to reduce its salaried headcount by more than 4,000, with a broader goal of making 14,000 job cuts in total. Last November, GM said it would idle several plants in North America and reduce its headcount due to changing consumer habits forcing it to shift its focus to SUVs, trucks, and crossovers, as well as the trade dispute with China driving up production costs. The changes are also allowing GM to reallocate billions in R&D spend to renewable energy and self-driving technology. Internal conversations about simplifying GM’s large and complicated organization predated these layoffs, Cervone said. "Those discussions started prior to any announcement of headcount," Cervone said. "Last summer, we were going over what we’d prioritize for this year. That process would lead to a strategic plan done in the fall, but it led us to the same timing for the overall transformation announcement." The size of GM’s organization also resulted in a comms operation in which teams focused on one vertical or function had to compete among themselves for attention, Cervone said. The restructuring will enable groups to operate across the entire enterprise and focus on the business’ top priorities instead of representing one function of the organization, he added. "From an operational standpoint, I expect the simplified organization and enterprise-wide approach will offer more opportunity, not less, and more gratification, not less," Cervone said. There have been no changes to GM’s agency roster. In 2016, the company kicked off a year-long review to have one PR AOR per brand, culminating in FleishmanHillard becoming its first comms AOR for its overall brand in the U.S. PR AOR accounts for individual brands were assigned to M Booth for GMC and Buick, Weber Shandwick for Chevrolet, and Kovert Creative for Cadillac. GM reported Q4 earnings this week that beat analysts’ expectations with $38.4 billion in revenue. Net income was $2.1 billion, compared with a $5.1 billion loss last year.